Relax in style with our tradition Chesterfield winged high back armchair, In a charming Antique Brown, the Chesterfield Queen Anne armchair is hand crafted with the finest genuine leather was built to last. The curvaceous cushioned arms are lined with tarnished brass beading and curved mahogany wooden feet giving it that vintage look. 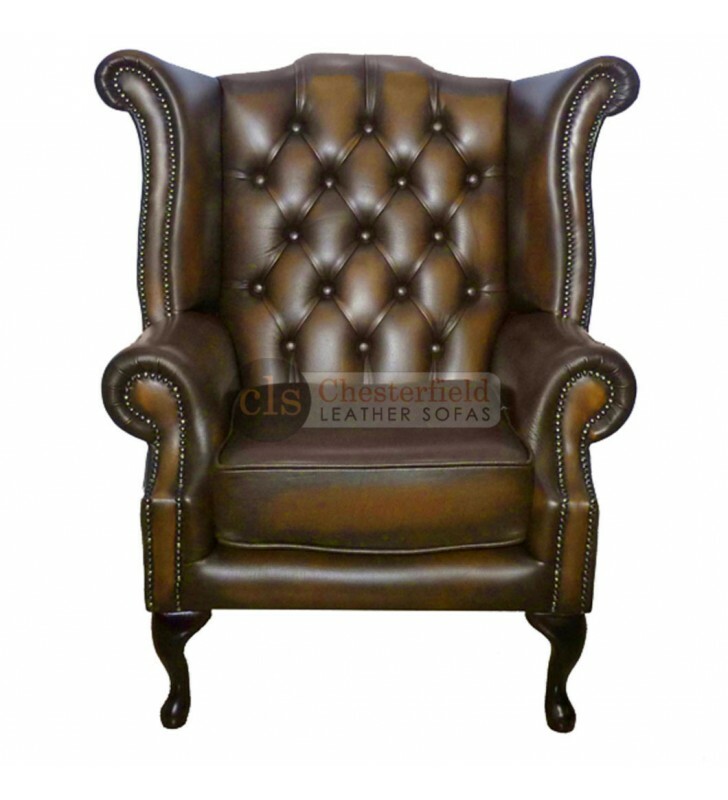 This armchair stands up to the great Chesterfield name.